CHENNAI: Blaming the previous DMK regime for messing up the laying of service road between Tiruchy Palpannai and Thuvakudi, Chief Minister Edappadi K Palaniswami on Thursday promised the Assembly that steps would be taken to complete the road work by prevailing upon the Central authorities concerned. Responding to DMK MLA Anbil Mahesh Poyyamozhi who raised the issue during zero hour, the CM said he had taken up the matter with Union Minister of Road Transport and Highways Nitin Gadkari when the latter visited the State because it was a project of the National Highways Authority of India (NHAI). The service road project was brought in during the DMK regime but preliminary works were not completed and not even land acquisition and the width of the road were given due attention, he charged. While a stay on the land acquisition was vacated, the Madurai Bench of Madras High Court had reserved its verdict on the issue of evicting buildings for laying the road, Palaniswami said, adding that land acquisition works could be carried out only if the outcome of the case was known. 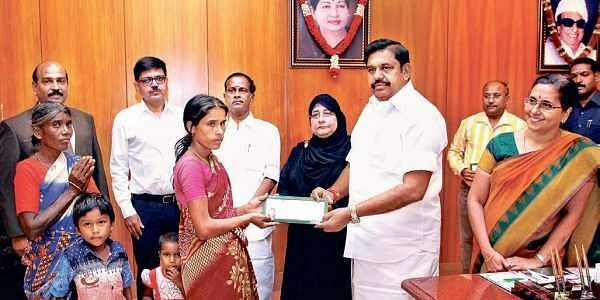 Responding to matters of public importance raised by several members seeking relief for the families of those killed accidentally in various places, the CM announced financial assistance ranging from `1 lakh to `3 lakh each to the bereaved families from the Chief Minister’s public relief fund.